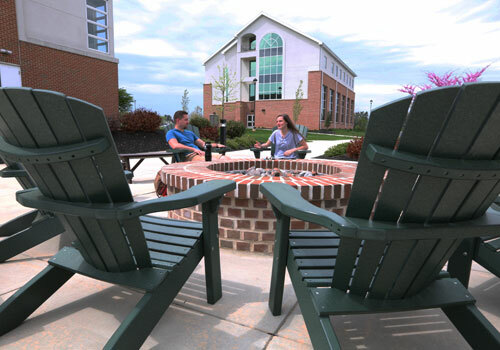 There are 4 resident halls and one apartment complex on the LBC campus. 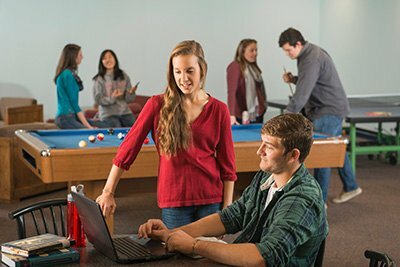 All single, undergraduate students are expected to live on campus. Presently, 59% of all students live in an LBC-sponsored housing unit. 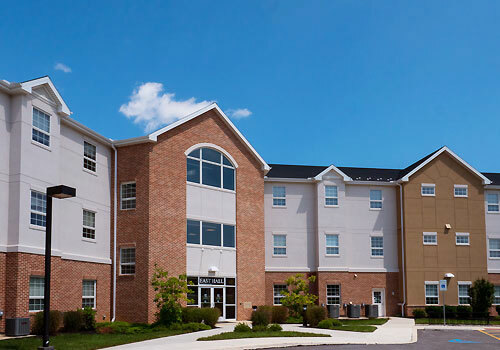 Get a snapshot of each resident hall and the amenities available. 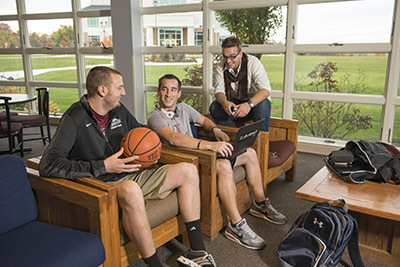 East Hall is Lancaster Bible College’s newest resident hall having just opened Fall 2015. This three-story, male & female (separate floors) hall has 55 rooms with space for a total of 110 students. 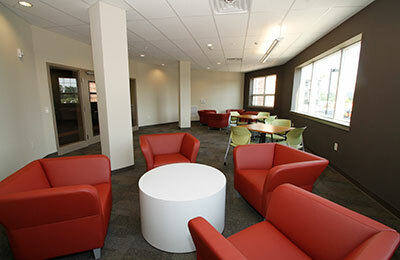 Each individual room accommodates 2 students. Each floor has suites of 11 rooms that share a suite lounge as well as a community style bathroom. Each suite lounge has a kitchenette, TV, and lounge furniture. The community bathrooms each include four toilets, four sinks, and four showers. 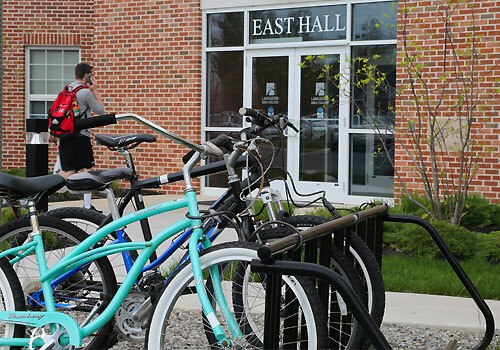 East Hall is located toward the back of campus and allows for short walks to the Charles Frey Academic Center and the Teague Learning Commons. 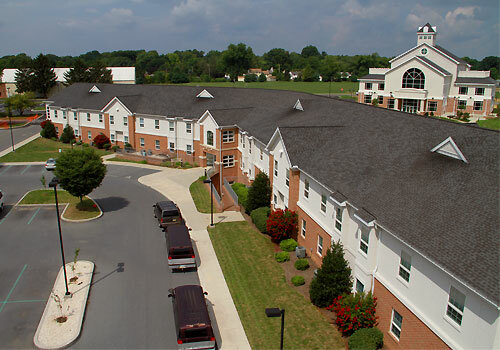 Peterson Hall is the largest resident hall on Lancaster Bible College’s campus. This two-story, male & female (separate floors) hall has 97 rooms that each accommodate 2 students*, providing space for up to 194 students. 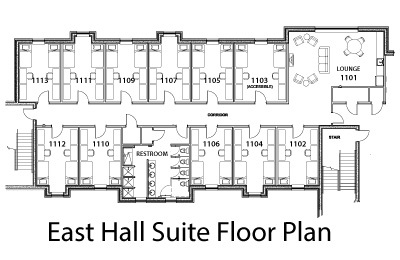 This hall offers a unique suite-style residence with common lounges between each wing and a lower level consisting of community spaces and a fitness center. 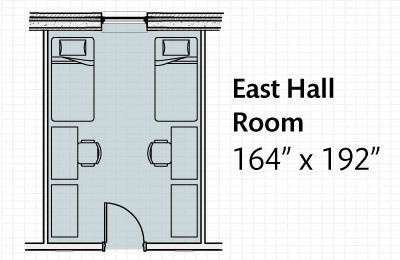 *Some rooms in Peterson are approved to accommodate 3 residents. Based on capacity and availability, LBC may place three persons in those rooms. 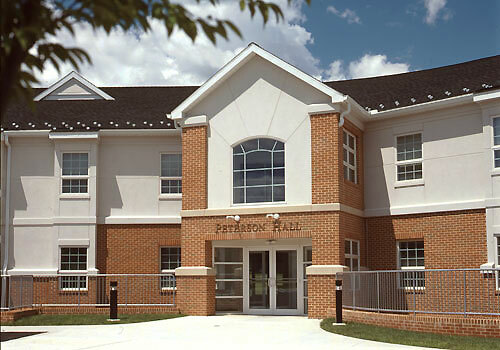 Weber Hall is a two-story, male & female (separate floors) hall. 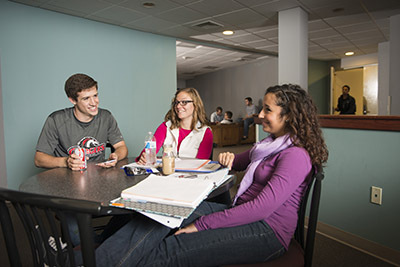 Recently Weber’s section lounges were renovated with new couches and love seats. 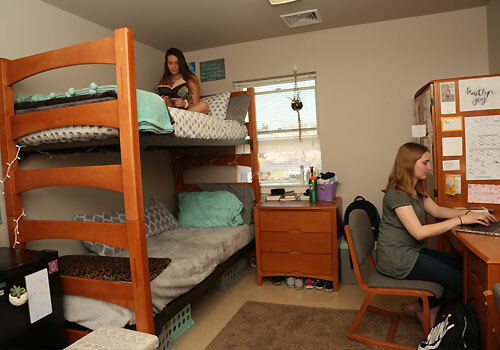 Weber Hall has 56 rooms that each accommodate 2 students, creating space for 112 students. Each floor is sectioned off into wings which are connected by lounge areas. 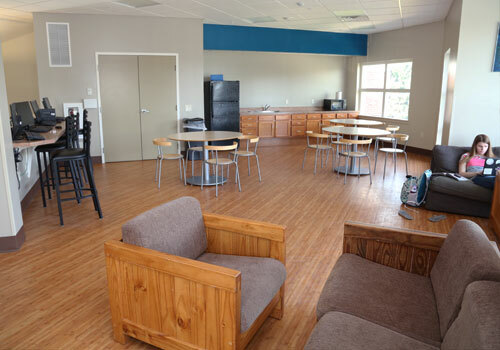 Each lounge has a complete kitchenette with a sink and microwave, while the other consists of more study space and a TV w/ cable. Weber also has its own courtyard due to the horseshoe shape of the building. The wings of Weber each share a common lounge, each furnished with couches, a kitchenette, sink, half-fridge, and TV w/ cable. 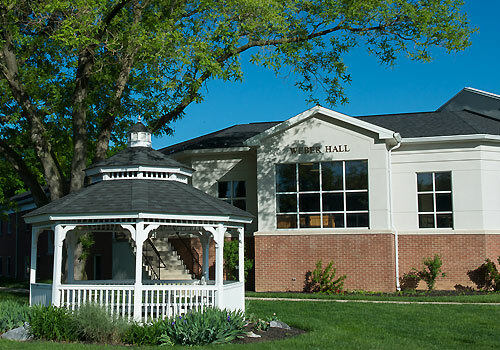 As the oldest resident hall at Lancaster Bible College, Clemens has distinct charm and unique benefits. 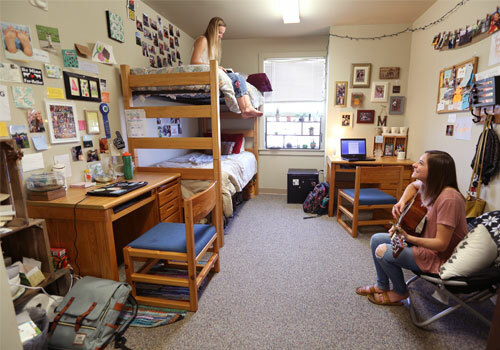 This all-female, two-story hall has space for 34 students, allowing for a special tight-knit community. 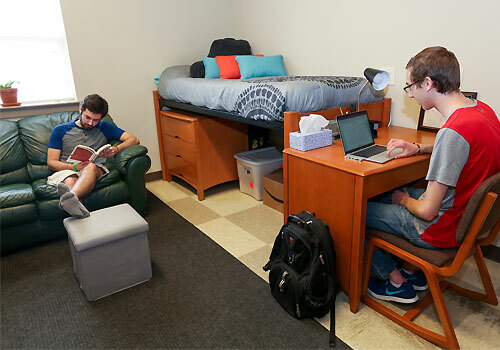 Thirty-two rooms accommodate 2 students, with 2 rooms designed for 3 students. 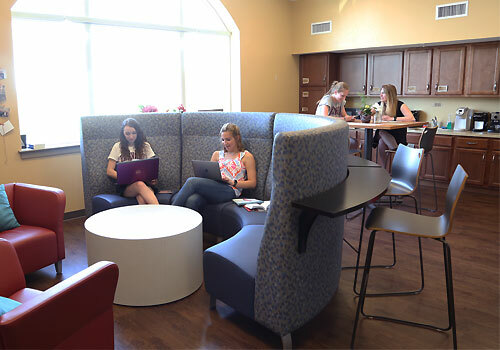 Clemens has its own common lounge and is located in the center of campus. What should I bring? This is the question facing every resident student. 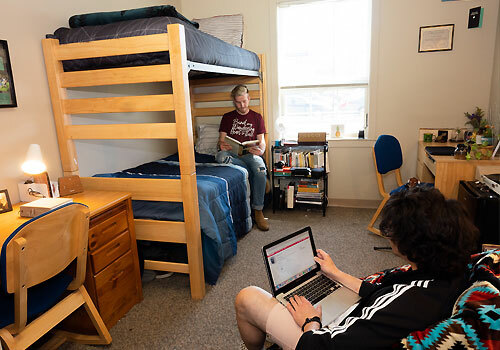 A limited amount of dorm space, shared with one or more people, requires some planning and preparation when packing. We provide a desk, chair, dresser, twin size mattress, twin size bed, and a closet or wardrobe for every resident. These items are considered your “personal space” and will fill up quickly. Hint: check with your roommate to see if they are bringing items you can share. A good rule to follow is to only bring the clothes that are appropriate for the season. You can take items home at fall break, and bring back your winter clothes. Do the same in the spring semester with spring break. A complete list of all housing regulations can be found in the LBC Student Handbook. Your stay as a resident student will provide some wonderful friendships and memories that you will cherish for the rest of your life. 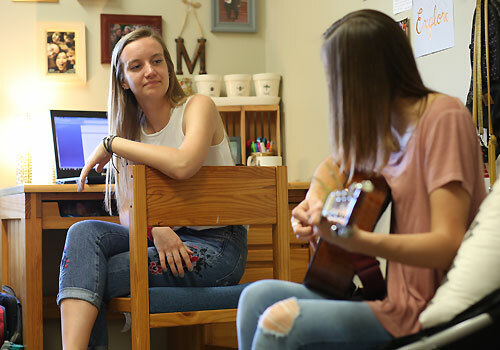 With some simple planning, you can help ensure that your dorm room will be a great place to live. Note that NOT ALL items are necessary for dorm life. Toilet paper & cleaning supplies are supplied in each dorm. PLEASE NOTE: This is only a suggested list.